Recently, MPF Authority chairman David Wong Yau-kar showcased his faith in Hong Kong’s pension system when he recommended it as a role model for mainland China. “Employees in Hong Kong are clear how much money they will have after retirement, they know they will get it in cash and it won’t be gone,” he told the South China Morning Post in Beijing. Yet research shows that Hongkongers aren’t exactly happy with the current way the MPF is set up. A survey by Mercer revealed that 33% of companies were not satisfied with their MPF provider in 2016, up from 23% in 2013. They were most dissatisfied with fees and investment performance. While admitting it wasn’t perfect, Wong feels the scheme still sets a good example for the reform of China’s system. Human Resources magazine spoke to Benjamin Wong, HR director, Asia Pacific at Knorr-Bremse, to get his insights on the matter. Q. 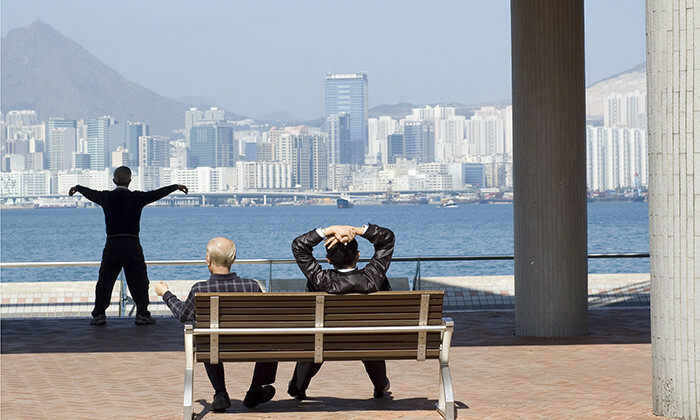 What is the biggest difference between the pension systems in Hong Kong and China? The MPF in Hong Kong is a system that allows the funds to be invested in the financial market. The state pension system in China is not open to the market yet, meaning there isn’t any risk of losing people’s money, but at the same time no possibility for big growth of the funds citizens put in. Q. Would you say the MPF is functioning properly in Hong Kong? The scheme functions properly but there are issues. The management fee is very high while its performance is not good either. As a result of this lose-lose situation, the retirement funds of Hong Kong citizens will shrink. In addition, there’s a problem with the offsetting of long service leave and severance payment – an arrangement put in place in the past to offset the increasing employer cost. The maximum offset amount is HK$390,000. Imagine you worked for a company for many years and they took away HK$390,000 from your “hard-earned” pension; how would you feel? I think for those who are aware of how the arrangement works, this is their biggest complaint. On a positive note, I think the recently proposed changes to the offset mechanism have the potential to solve that problem. Q. Do you agree the MPF provides a good example for China? While Hong Kong’s MPF has the potential to offer higher returns, the high management fee remains an issue. The new Default Investment Strategy (DIS) effective April 1 this year will have a lower fee and will diminish the investment risk for people without investment knowledge by offering a default strategy. Yet compared to the average fee in the US or European market, the MPF management fee remains high, perhaps making it less attractive as a role model for mainland China. In general, China’s state pension fund is actually a good system and I think provided you have been part of the workforce for at least 15 years, you can get a pretty good retirement pension – in some cases better than in Hong Kong. Q. Is there an alternative way of structuring pensions you would prefer; any examples from abroad? China should implement a scheme that’s internationally recognised, to minimise the cost when people move abroad and back. Whatever they decide, with 1.3 billion people as bargaining power, the country could certainly negotiate the lowest management fee possible. A company director who sent young professionals mean rejection letters telling them they were “inappropriate” and “tacky” has back..
46-year-old Lim Kien Peng has been jailed for 27 months, for bringing in 30 Chinese nationals to Singapore to work for a shell com.. Acquiring skills through relevant on-the-job training is more beneficial to employees than a degree, new research says. ..